going to get that sophie dog today!! chose to rest yesterday, hoping to make this awful cough go away. just my normal fall deal, mostly sinus reaction to changing seasons, usually. this time also aggravated by major climate and altitude changes on the way home. i will stop at jiffy lube on the way out of town. somehow i used up all my extra time on friday and did not stop to do that then. don’t want to push my luck. that little van runs like a top and i plan to keep it that way!! 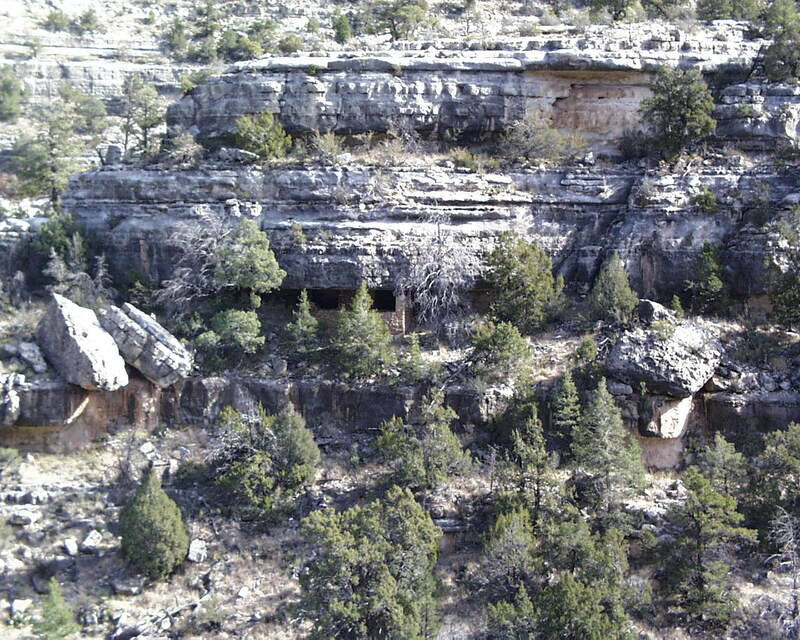 so here are a couple of pictures of those ancient cliff dwellings this is a deep canyon that has a kind of tall ‘island’ in the middle of it. the walk they have created actually is around the perimeter of that island – about a mile but you go down about 8 stories to get to the path around. there are also dwelling remains along the path on the island. and it’s still a long long way down to the floor of the canyon!! as you can see, it was a beautiful day! 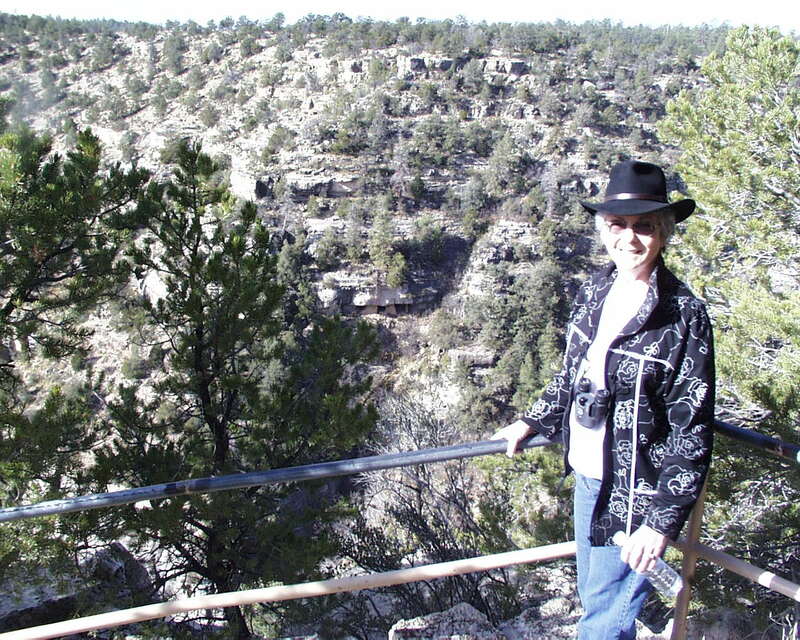 if you are interested – it is walnut canyon and on i-40 in arizona. i think this is the picture where you can see several different ones. it was so wonderfully quiet there – only the birds singing. not a trace of modern noise! !